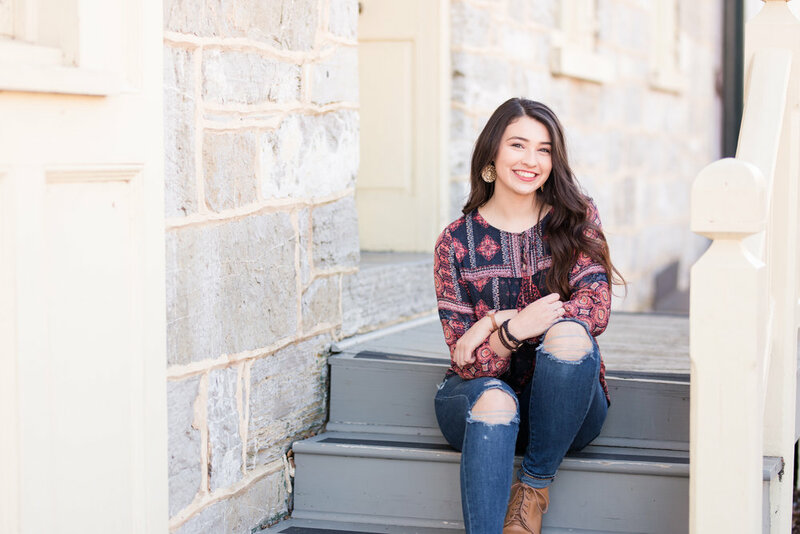 I had a blast hopping around Shepherdstown with Kora last week, and it was especially cool because Kora's going to be a Ram this fall! She'll have lots of fun walking up and down German Street over the next four years! I was also really happy when Kora said she was definitely an outdoor kinda girl. So towards the end of our session, when the light was soft and golden, we headed out to my new favorite spot- a hidden little field off the side of the road. Horray for golden hour light and models who aren't afraid to sit in the weeds for a good shot! I'm totally loving these! 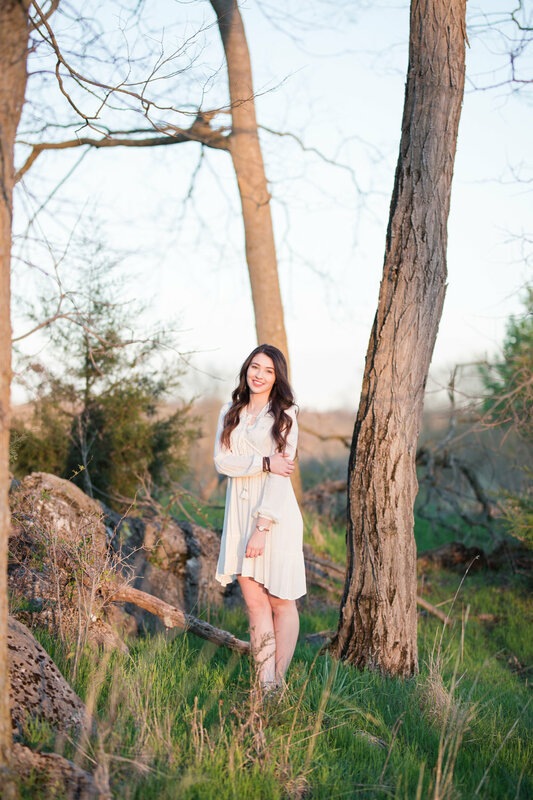 Kora's long dark hair and romantic dress are the perfect compliment to the natural background. And I love how the sunset is painted ever so slightly on the side of her face. It was such a pleasure to meet and work with Kora- she's such a sweet girl and really seems to be centered and grounded. Turns out she's going to Indonesia in a few weeks for a mission trip- holy moly! Say a quick prayer for her group's safety and for the hearts of those they are seeking to serve! A big thank you to Kora and her family for inviting me to document this special time in Kora's life! She's a real joy and you have so much to be proud of! 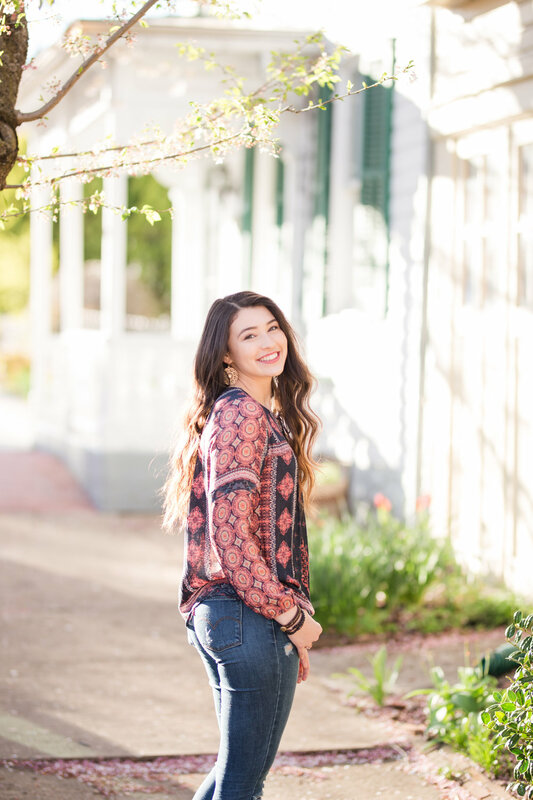 Focusing on relationships and real moments, Claire Watson specializes in photography that captures true beauty and feels genuine and authentic. Claire Watson is a West Virginia Wedding Photographer based in Martinsburg, WV. She joyfully serves clients in West Virginia, Northern Virginia, and Maryland.